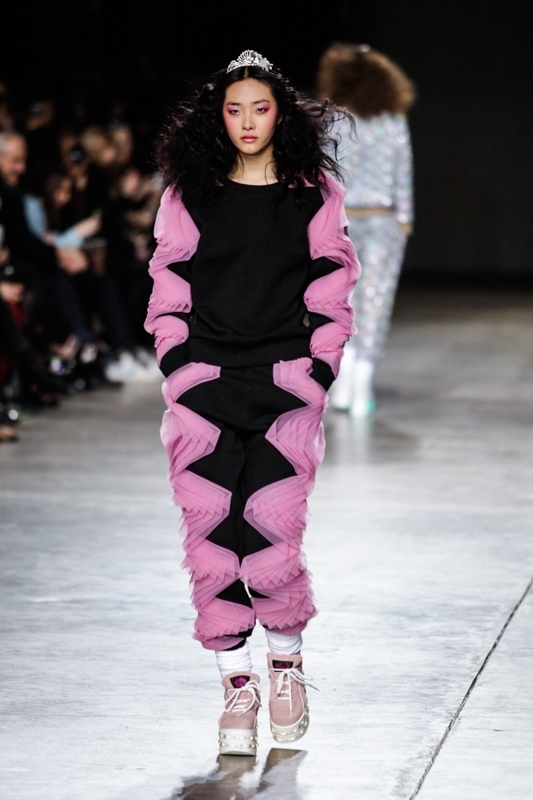 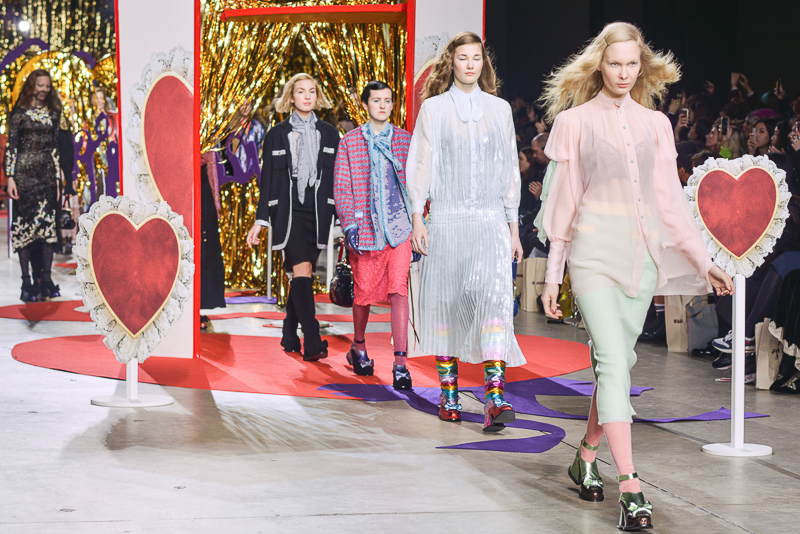 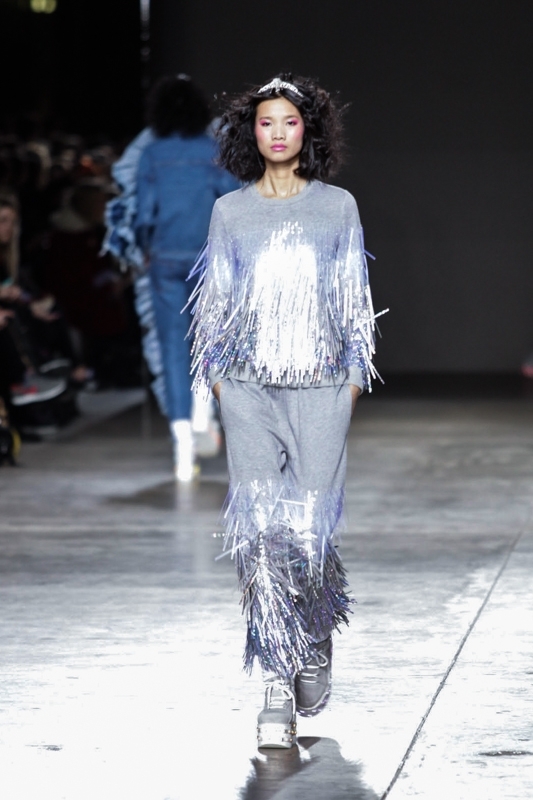 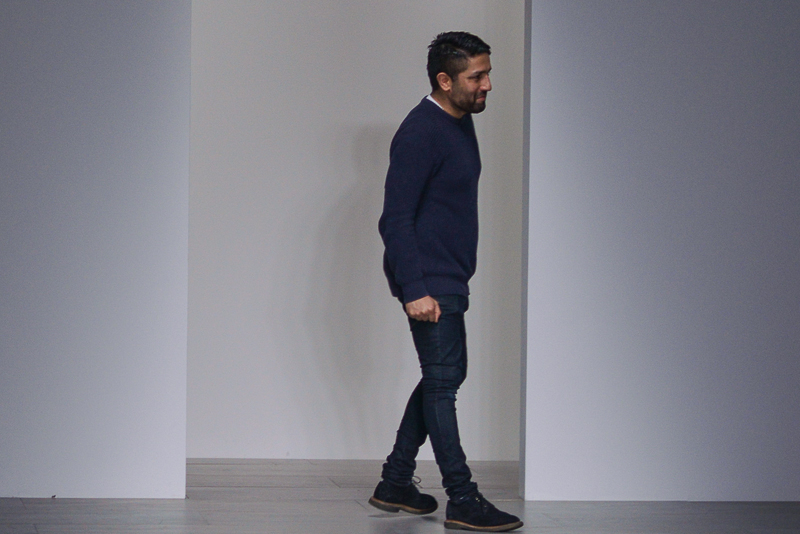 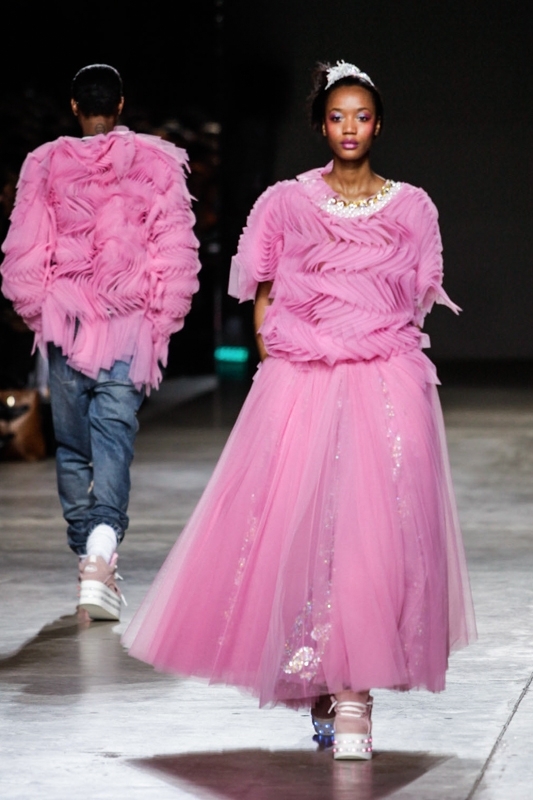 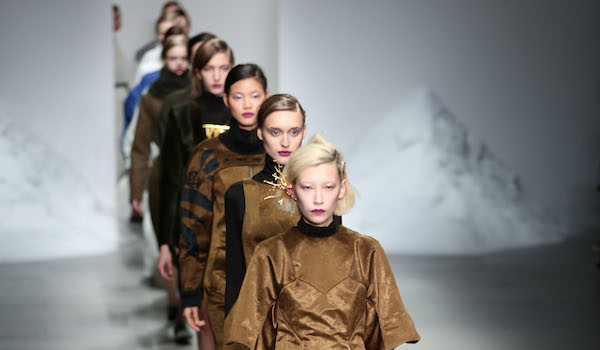 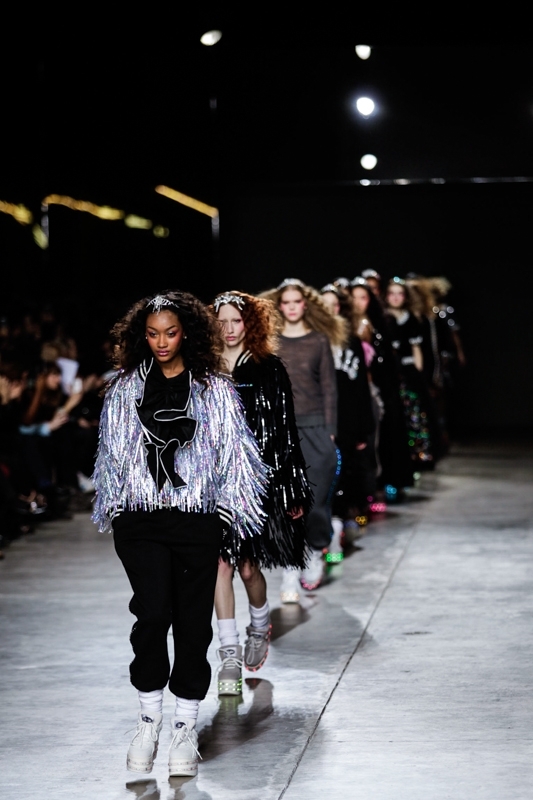 Ashish Gupta lulled spectators into a spellbinding trance as his (literally) dazzling autumn/winter collection unfolded at the Tate Modern’s iconic Topshop Showspace last night. 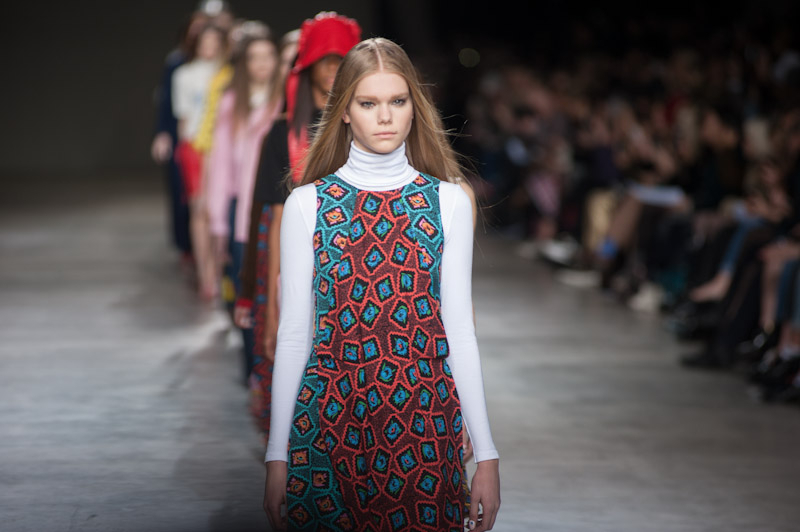 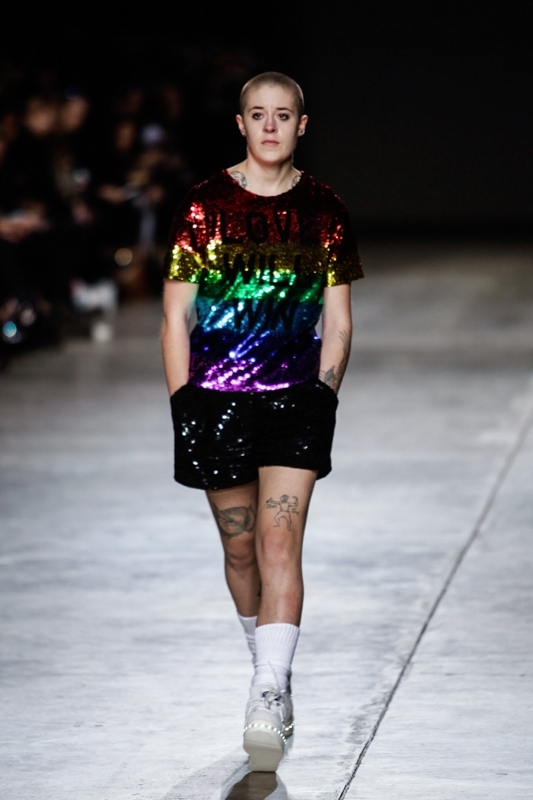 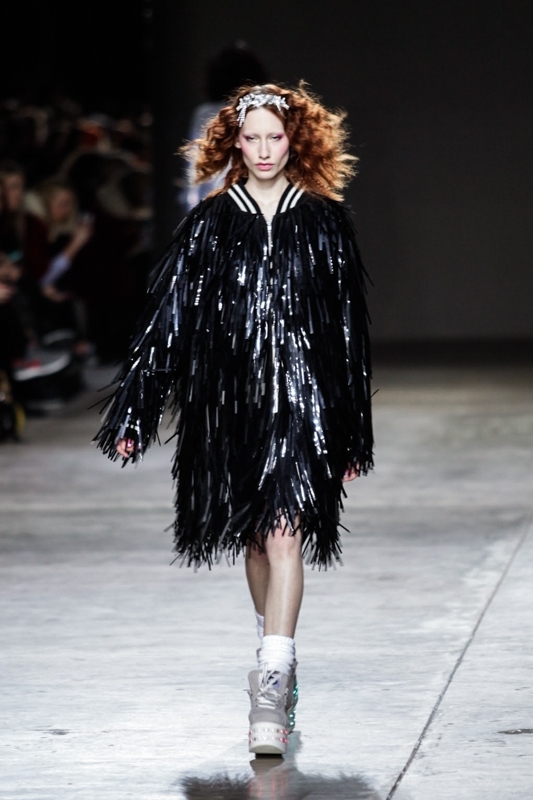 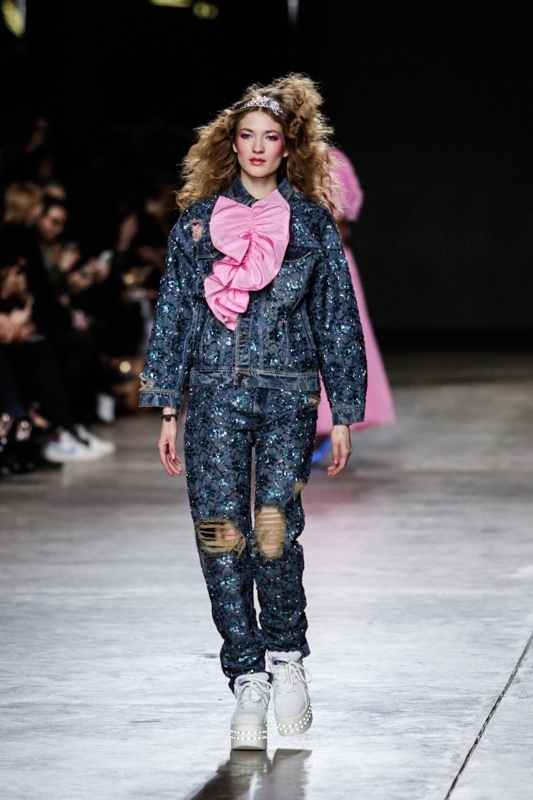 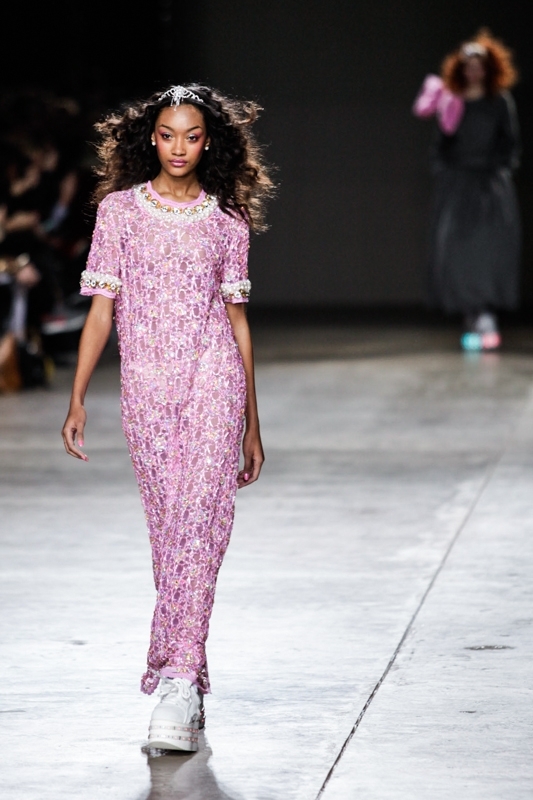 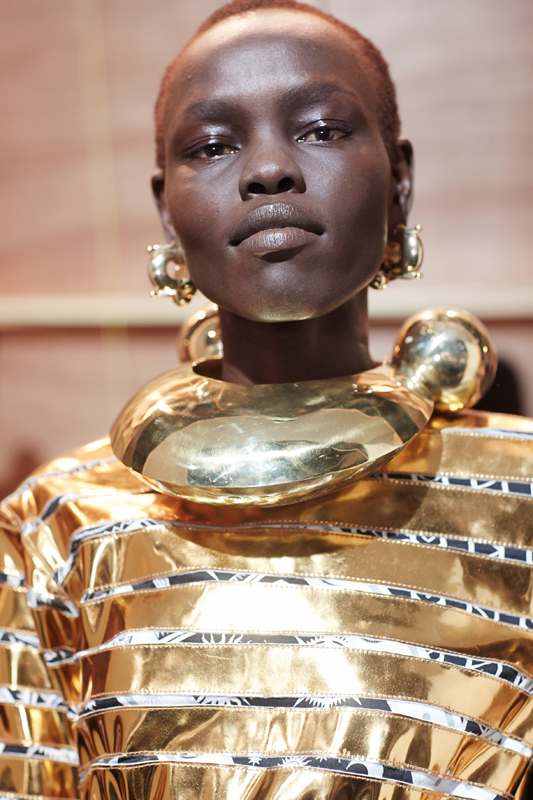 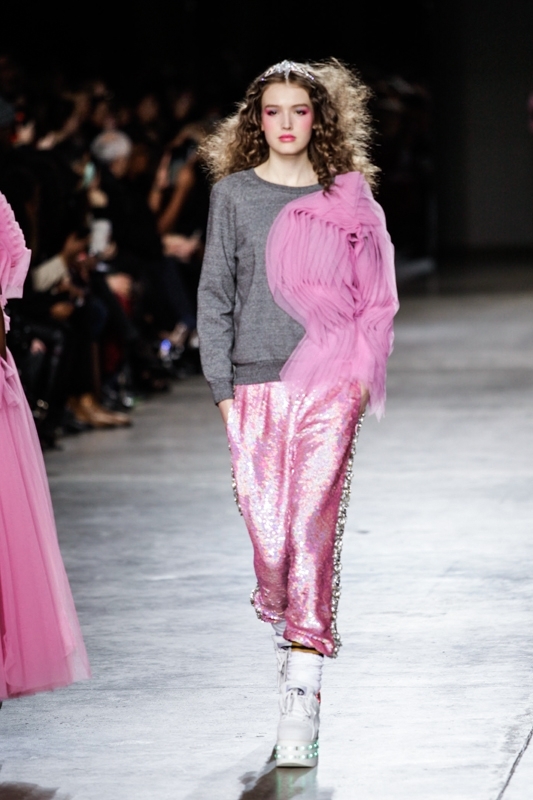 His dexterously distinguishable sequins and glamour attracted some of London’s coolest kids to the FROW, including Lily Allen and drag queen Jodie Marsh. 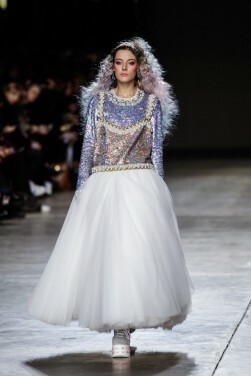 And the show did not disappoint. 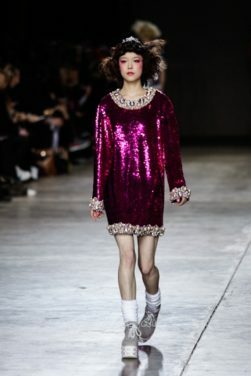 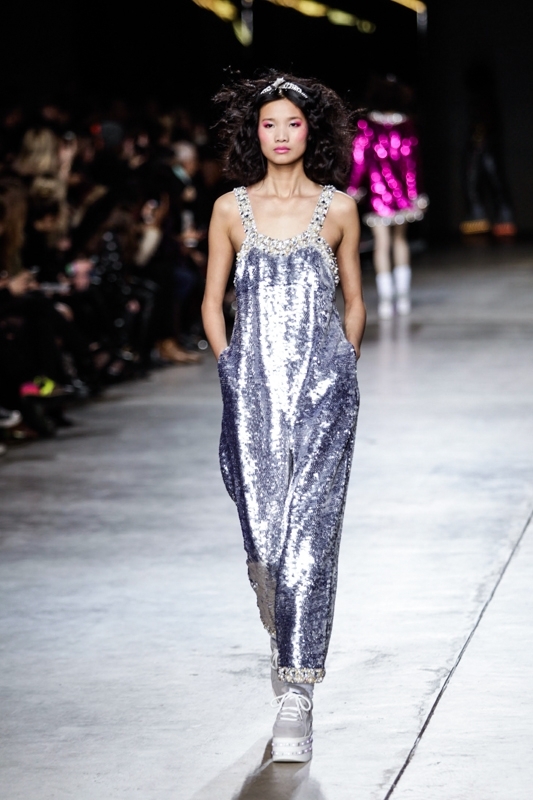 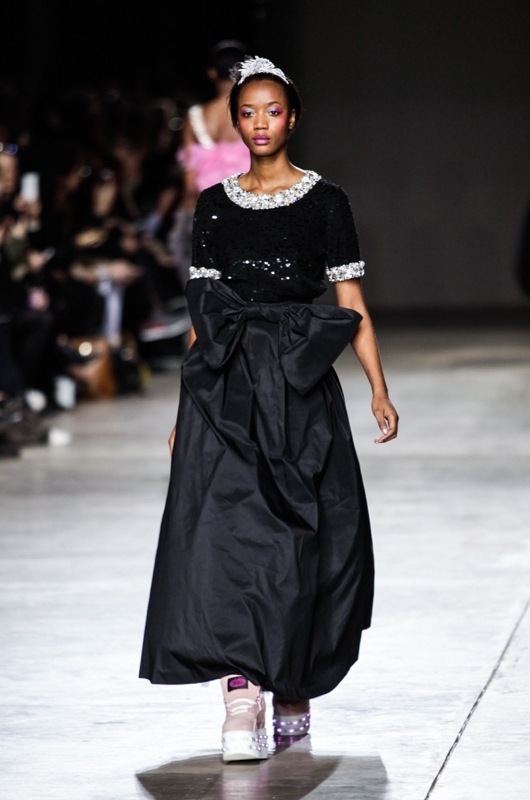 A habitual championing of sequins ran by default throughout the entire collection, accentuated further with a rather apt fairytale theme. 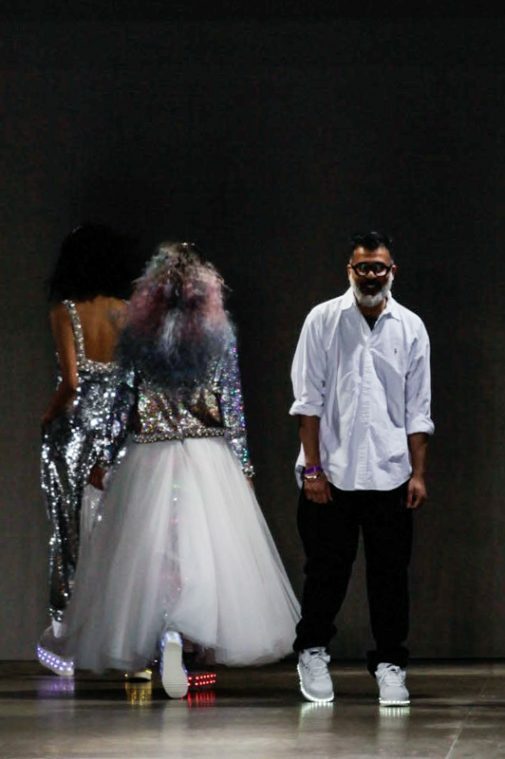 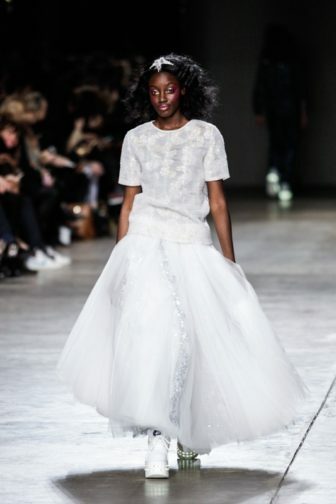 Ashish channelled his skilful craft to finesse each piece with his signature iridescent sequins, and encrusted delicate laces and nets with perfectly positioned jewels and Chanel-inspired pearls. 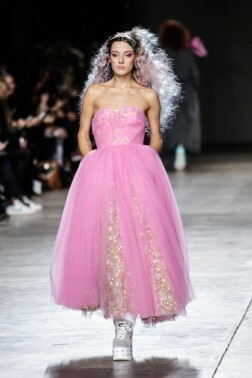 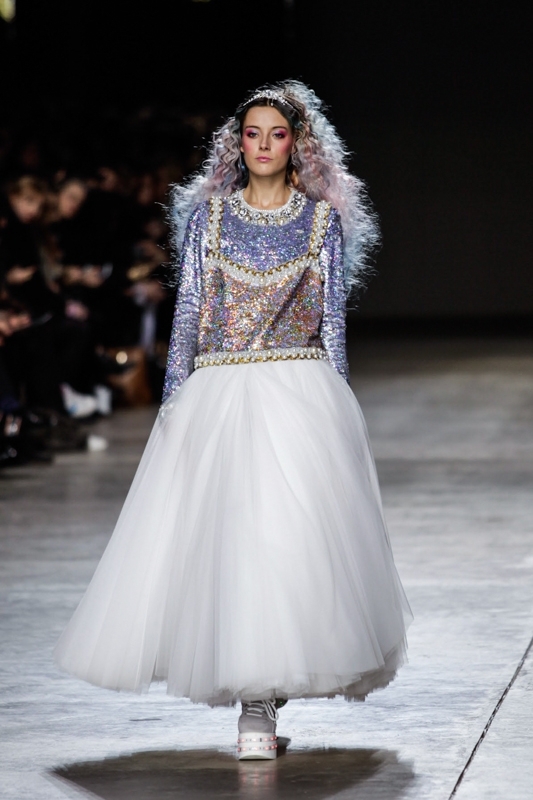 Dainty tiaras, oversized bows and princess-like rainbow hair were also put to use to complement each design. 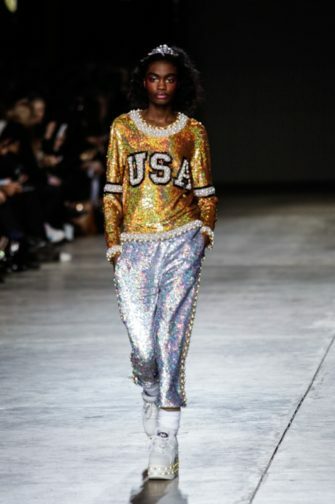 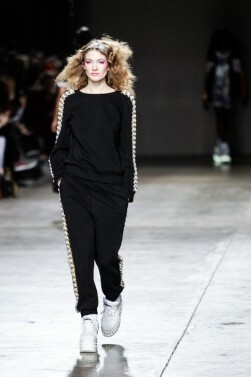 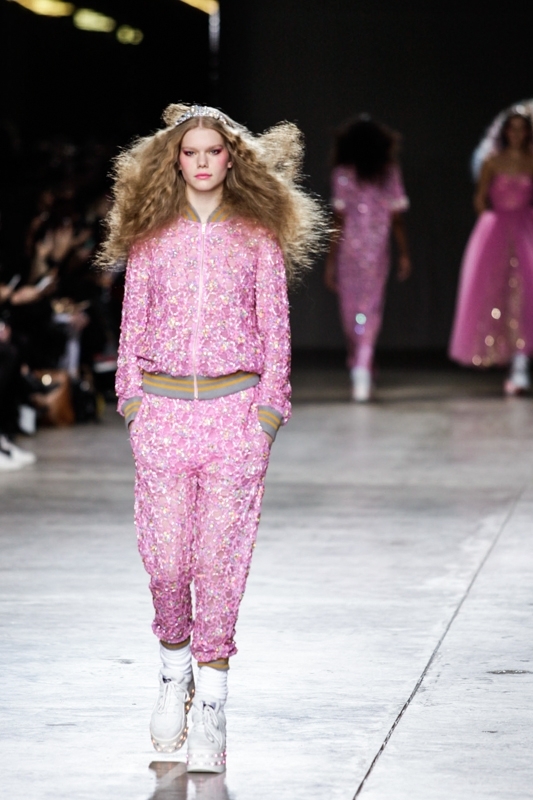 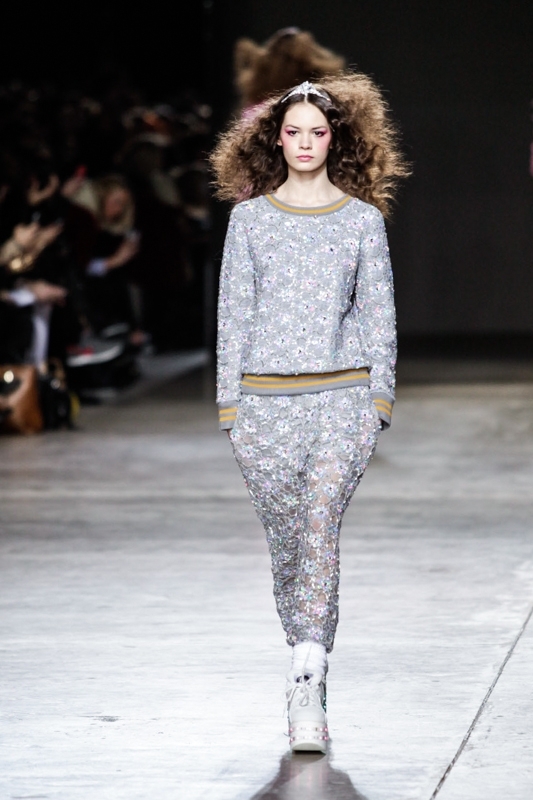 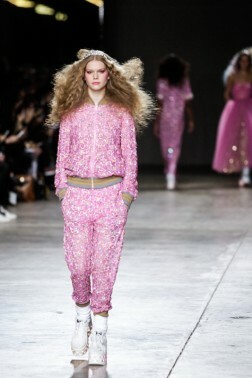 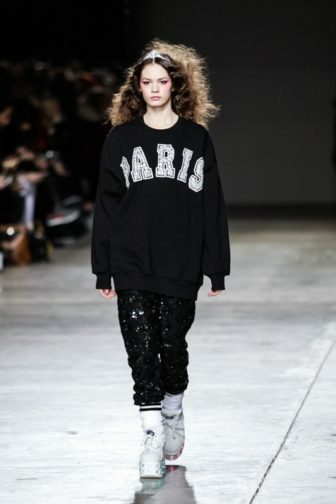 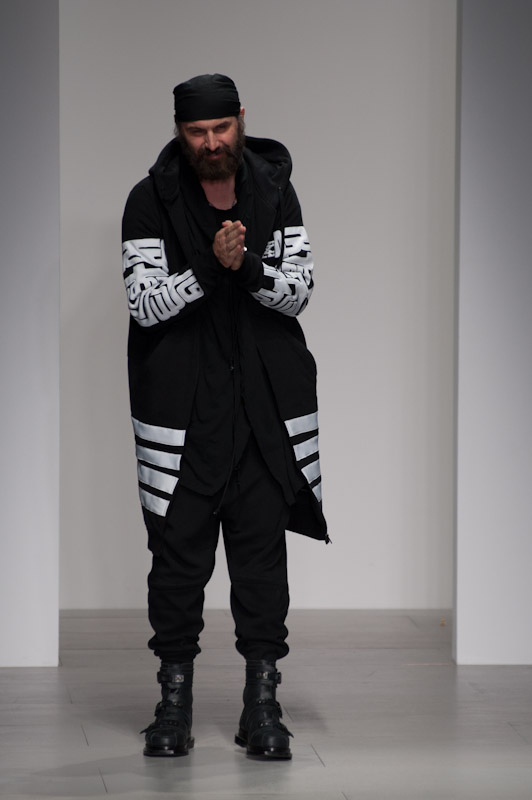 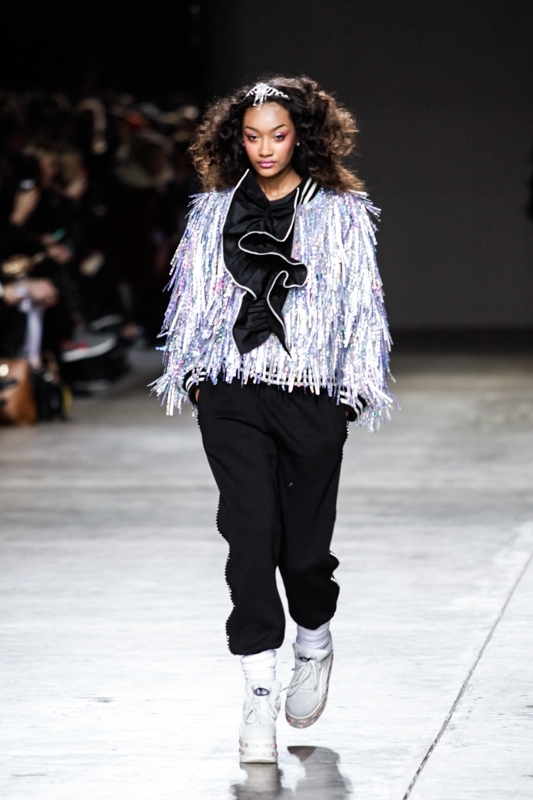 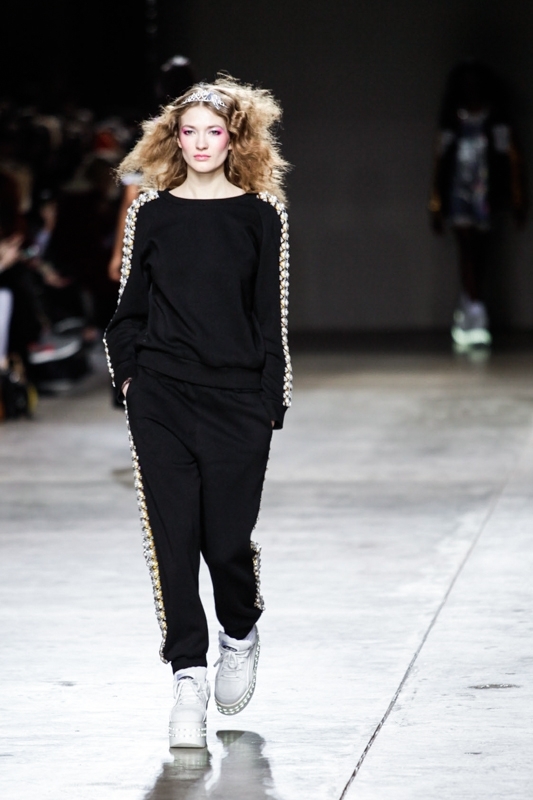 Nineties sports luxe made its return with embellished baseball jackets and joggers aplenty, whilst unique neon-flashing buffalo boots remained a key element. 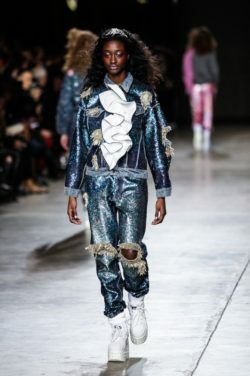 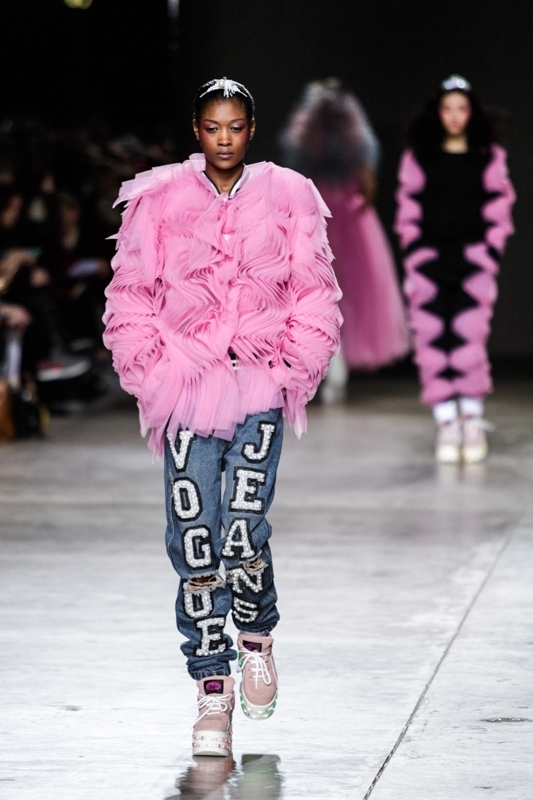 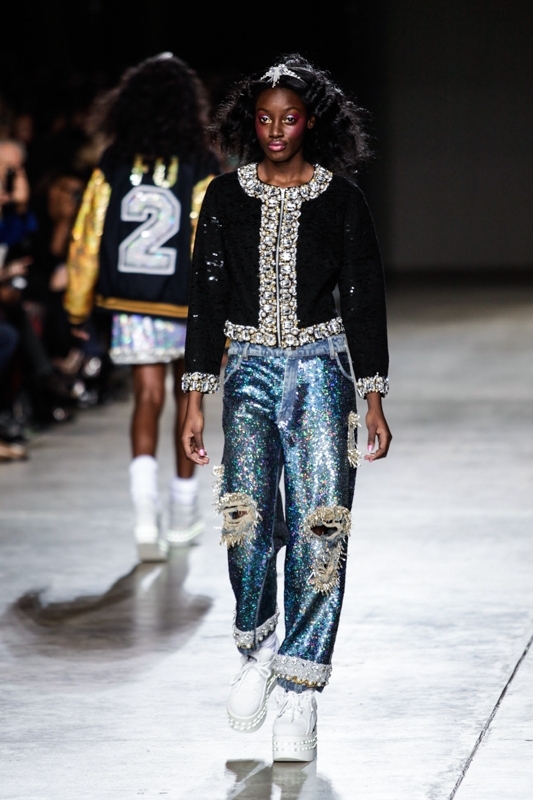 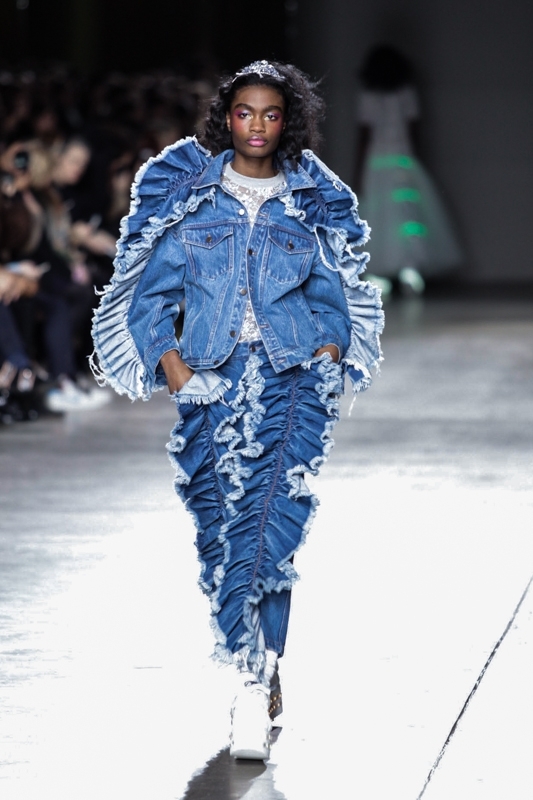 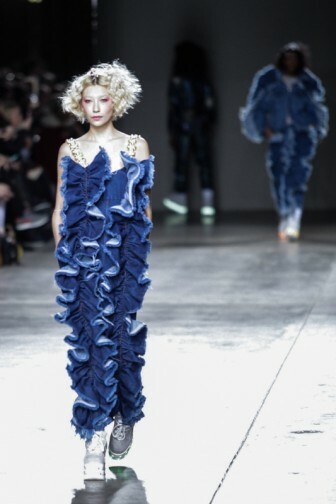 Large feminine frays lining sleeves and leg seams gave a fresh take on denim, in keeping with Ashish’s fictional leitmotif. 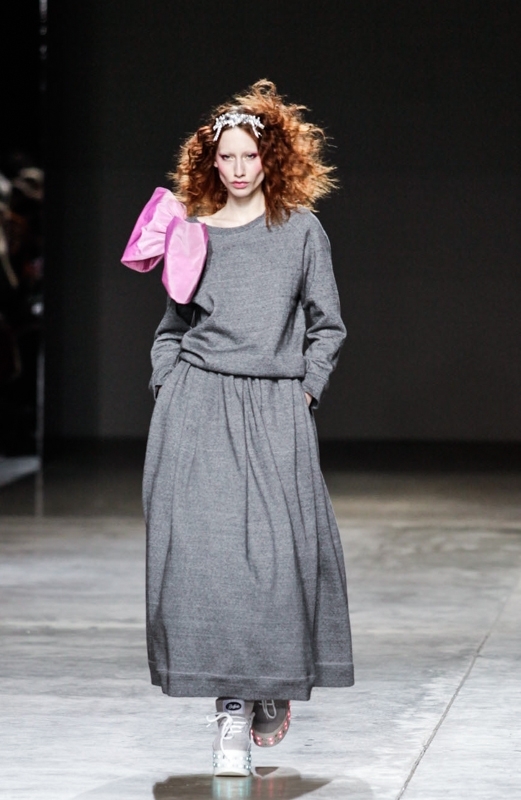 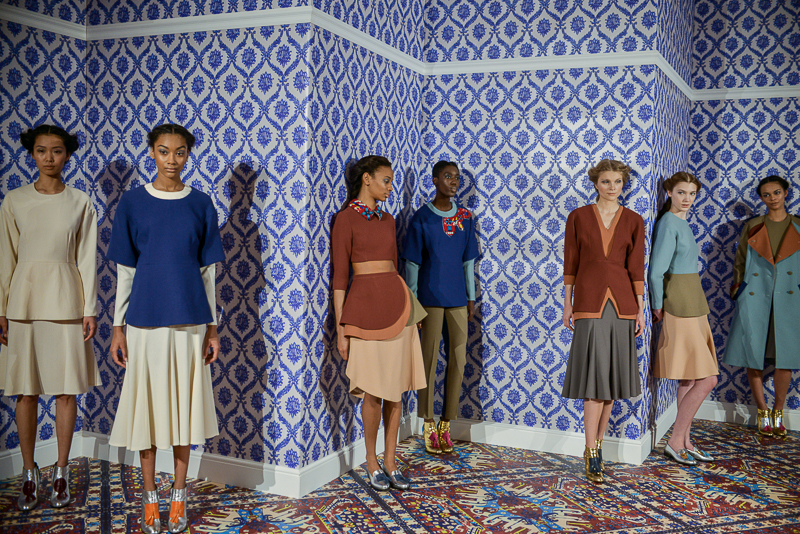 But it was a dreamy palette of marshmallow pinks, pure whites and soft metallics that truly gave the collection its whimsical ambience.